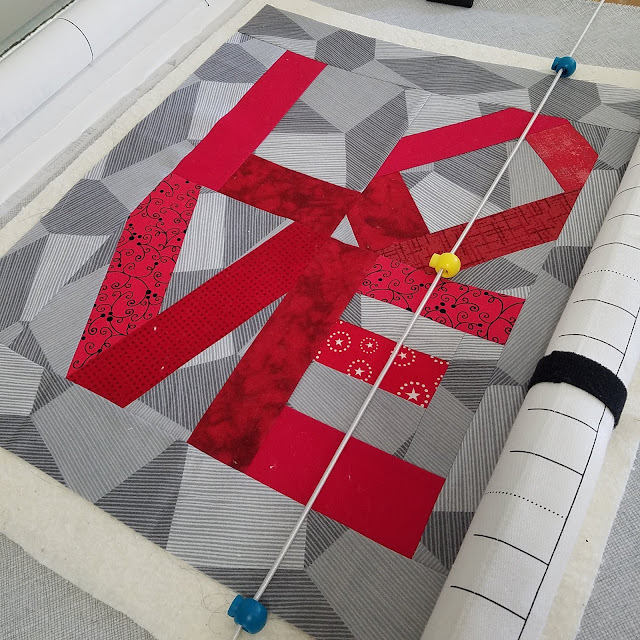 Sam Hunter is a quilt designer and a great advocate for knowing your worth. I have had a copy of one of her patterns in my collection for a while now. In truth, I have several of her patterns. 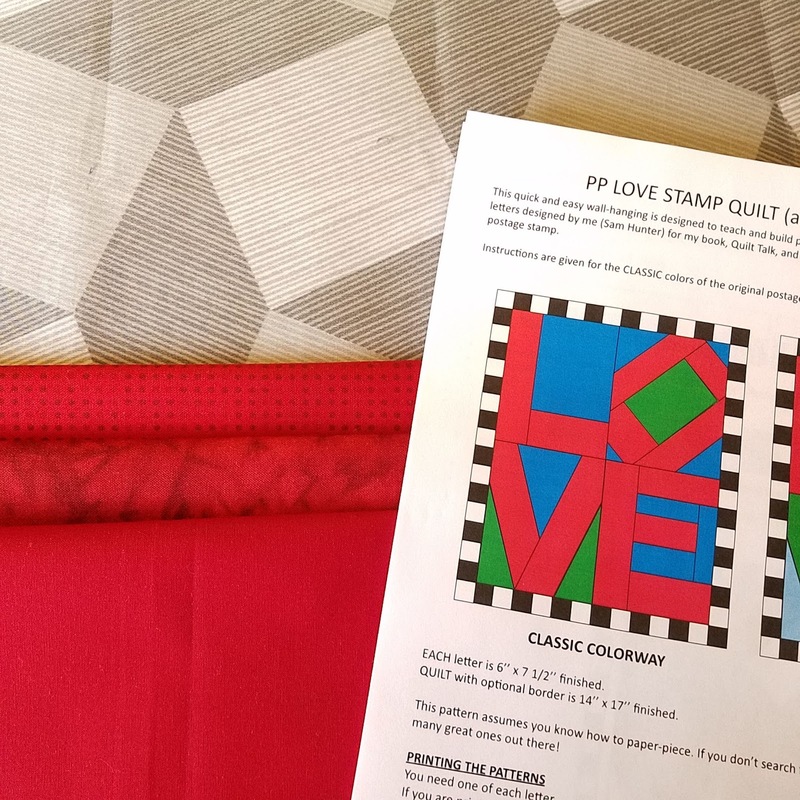 I decided to do some paper piecing and make up a version of her paper pieced Love Stamp Quilt. 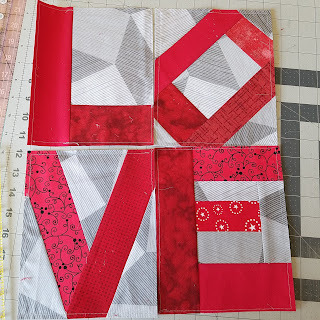 I basically learned to paper piece using her book Quilt Talk. If you want to make your quilts speak, and aren't afraid to learn something new, I recommend her book. If you buy it directly from her, she makes a little more than if you buy it through Amazon and she autographs it for you. 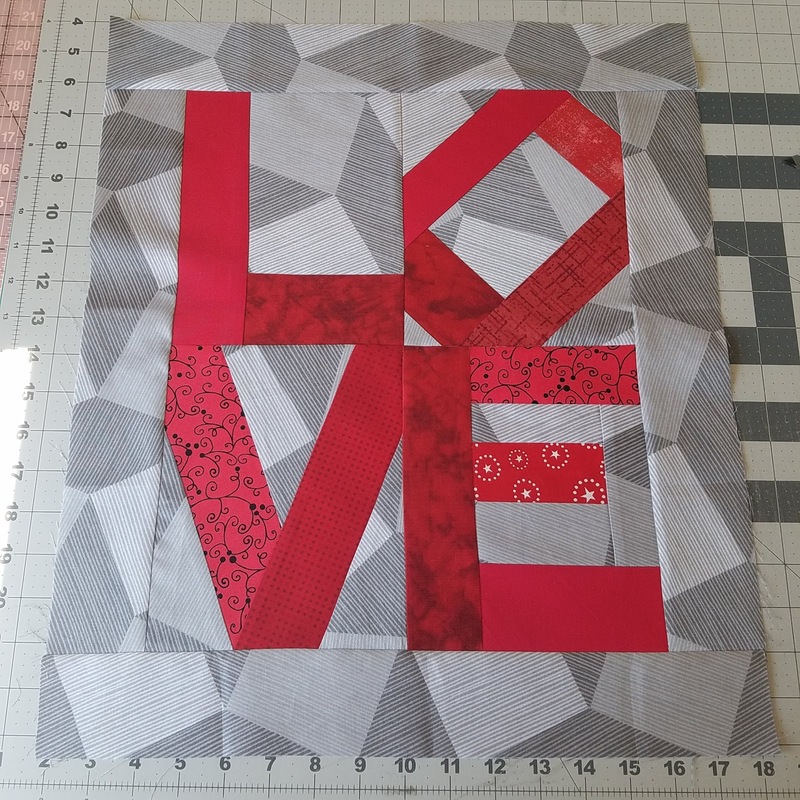 I grabbed this gray print for a background (from one of the many fabric challenges I thought I was going to participate in and then didn't) and several reds from my collection to make this mini quilt. I found some scraps in the bin that would work for this and add a little more interest to the piece. One of the magical things about paper piecing is that you can piece with a little extra and still come out with a great block. Here they are all trimmed and ready to assemble. I didn't capture a picture, but there was a moment where LOVE was going to be spelled LOEV, but I caught it rather quickly. Me and that seam ripper and our love/hate relationship. I pulled some leftover backing fabric that was just the right size, a piece of leftover batting and got it loaded onto the frame. 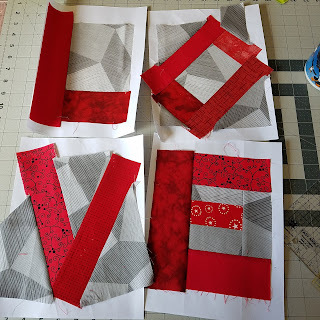 In my next post, I'll share the quilting. Until then, if you want to use a well-written pattern, check out the selection over on Hunter's Design Studio. Plenty of great designs. One of them is sure to be right up your alley.